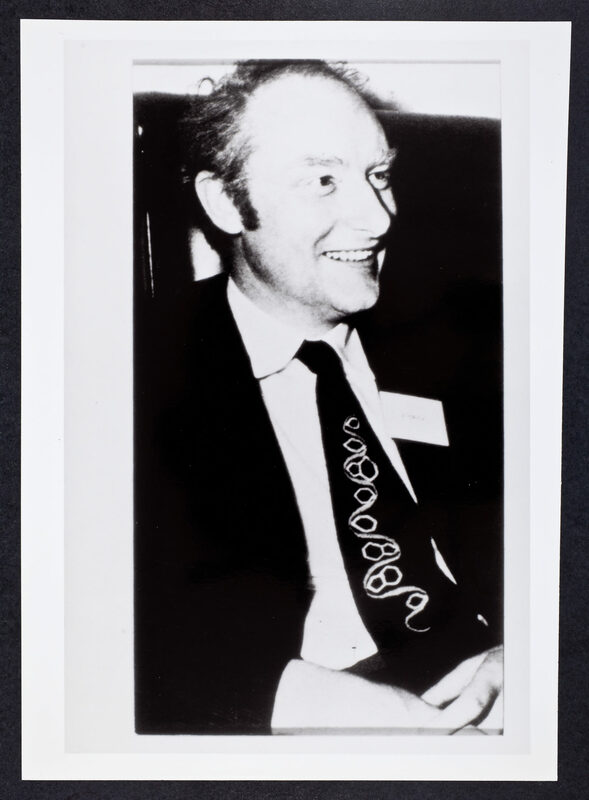 Photograph and photcopies of FHC wearing his RNA tie at McCollum Pratt Meeting Baltimore, MD. 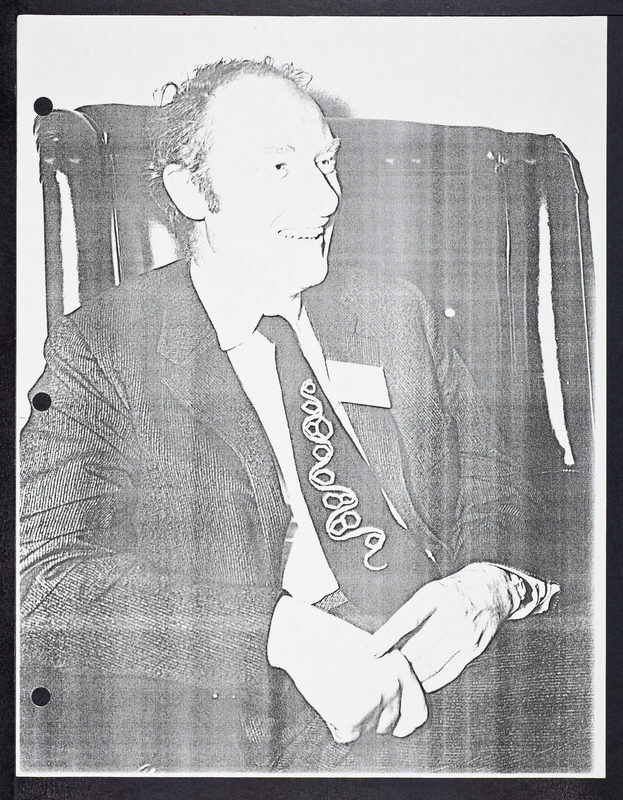 Photograph by Francis Digennaro. 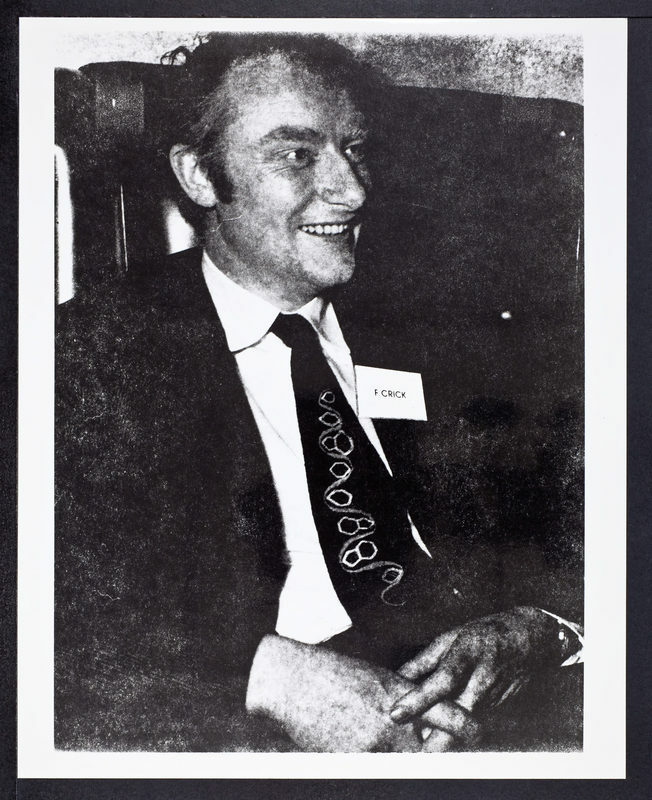 Photograph was used in James D. Watson's book: DNA Story. 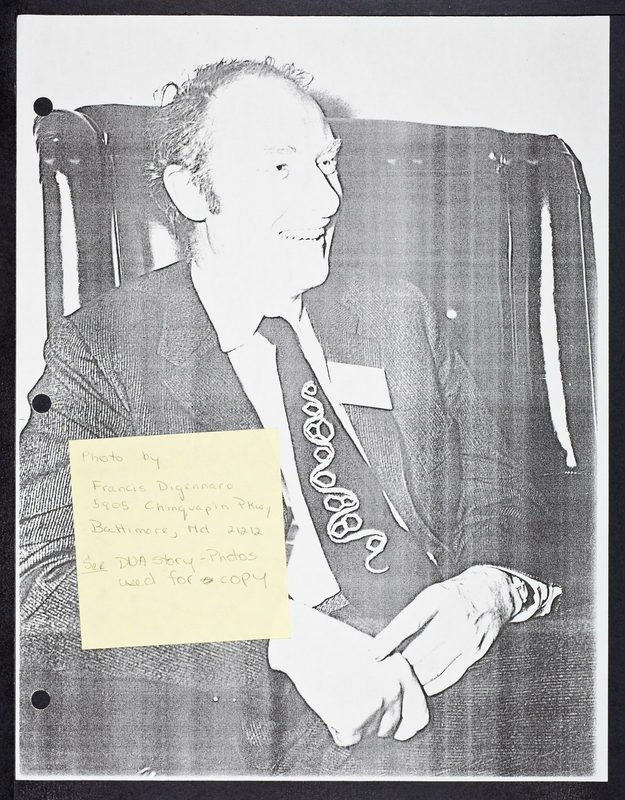 “Francis Crick, McCollum Pratt Meeting Baltimore, MD,” CSHL Archives Repository, Reference JDW/1/16/4, accessed April 19, 2019, http://libgallery.cshl.edu/items/show/51764.